Disclosure: I was not compensated for this post. NETGEAR provided me with product to facilitate this post. There is one thing I really miss about my house in Nova Scotia – better Internet! We had Fibre Op Internet with 175 Mbps download speed. Here in Ontario? I call it a good day when I can get a 5 Mbps download. They don’t have Fibre Op yet in our area so the Internet options are very limited. NETGEAR sent me their WiFi Range Extender to try out. My ISP has been trying to figure out what is wrong with my Internet connection since October and they asked that I not change anything in the house till they can figure out the issue. I was talking to my sister, Jillian, and brother-in-law, Kai, and they were mentioning how frustrating it was that they can’t watch movies in their bedroom of their new home. They purchased a big fixer-upper and have been doing extensive renovations over the past several months. It’s a big house and the modem and router is in Kai’s home office. Unfortunately, their bedroom is at the other end of the house so the WiFi connection isn’t the greatest in there. Kai and Jillian were telling me that they have an older model Roku hooked up in their room and every time they try to watch a movie, it keeps buffering. It’s very annoying especially when you get into a movie and have to wait till the connection catches up again. Before I get into how it worked, let me give you a little more information about the features of this WiFi Range Extender. What exactly is a WiFi Range Extender? It’s a handy product to have to boost your existing WiFi and give you better speed, range and connectivity for your online devices. It’s great if you have a dead zone in your home where the connection is poor. Kai and Jillian’s bedroom wasn’t a complete dead zone, but the signal wasn’t the best. It was hit or miss whether it would be working for them. They never knew if they would be able to watch a whole movie uninterrupted by buffering. The NETGEAR AC750 WiFi Range Extender works with any standard WiFi router to deliver AC750 dual band WiFi with up to 750 Mbps. It also comes with a Gigabit Ethernet port for WiFi connectivity to other wired devices like game consoles, streaming players, Smart TVs and more over your existing WiFi network. External Antennnas: Provides better WiFi coverage and more speed. Kai said it was a very clean set-up. There is only one item in the box so not a bunch of parts to put together or be confused about. It comes with easy to read instructions with helpful diagrams. It’s also a CD-less set up. To install, it’s simply connecting your Ethernet cord to a PC and opening a browser. It then brings you through step by step instructions. The WiFi Range Extender is plugged into an electrical outlet on their bedroom wall. All the lights are green indicating an excellent connection between the router and the extender. It made a big difference in the quality of the WiFi connection. It went from 1 bar to full strength and allowed them to open their media streamer at a higher resolution giving them a better movie watching experience. They were happy to report that there is no more buffering! 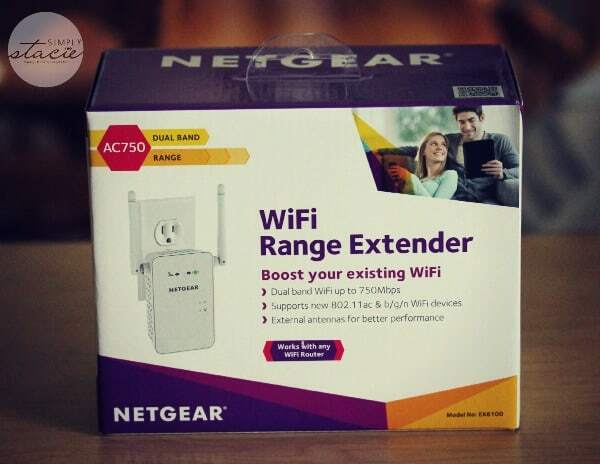 The NETGEAR AC750 Dual Band Gigabit Wi-Fi Range Extender (EX6100) can be purchased from a variety of retailers. Click the Buy Now button to see the list. I found them on Amazon.com for $79.99 and $113.97 on Amazon.ca. If you are having issues with your WiFi and want better coverage in your home, it’s an inexpensive way to improve your existing service. Once my ISP figures out what is wrong with our connection, I plan to look into getting one for our home. Visit NETGEAR to learn more and to check out their other products. Connect with NETGEAR on Twitter, Facebook, YouTube and their blog. My daughter could really use this on their farm! This NetGear WiFi Range Extender looks like a great product, if I ever have trouble with wifi connectivity I will have to keep this product in mind. Thank you for sharing this review. This s neat! I could use one, since we are outside a lot and I love to bring my iPad outside and shop, watch movie or shows or music videos while my kids play! I didn’t even know wifi extenders existed, thanks! Nice review. I was not aware of this either. This would be really nice to have. I need this for when I work outside. Perfect! I could totally use this when I’m out in the country where the wifi connection is terrible! Like many, I too have an almost dead zone while on the patio, and have to mess around with settings to get internet connection on my mobile. Not being tech savvy I just live with it. 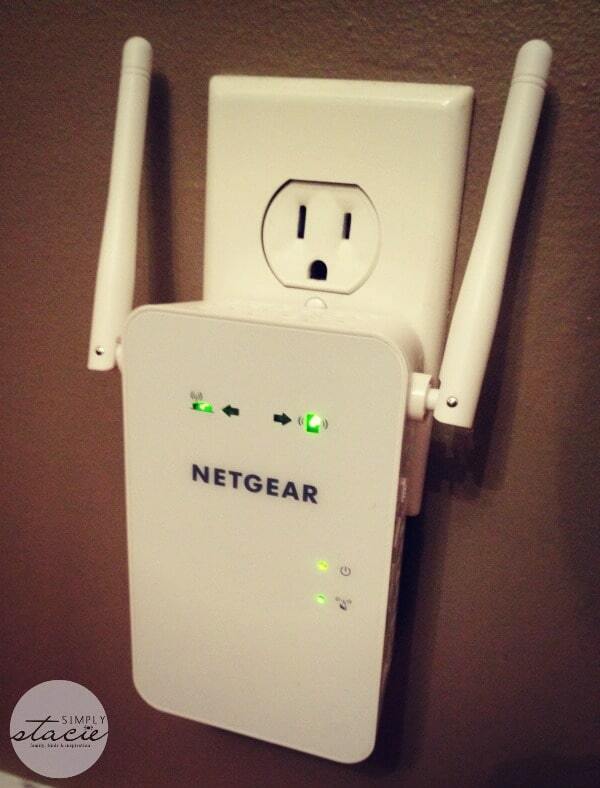 But the Netgear range extender is a cost effective solution for our house. Thanks for the post. Love how versatile and powerful this little thing is. I hadn’t heard about it but could definitely see the use. Technology keeps progressing and getting faster and more reliable. How great that this has helped you out. It’s really awful when you are right in the middle of something and your internet shuts down on hangs up. I really need to get one of these as we have some spots where the signal isn’t that great. Love that is just plugs in and doesn’t take up much room! Thanks for the review! Huh! I have often wondered if we needed one of these gizmos but now I know we do. Thanks! Comcast put a range extender from their company and it really does work to make my Internet go everywhere in the house. 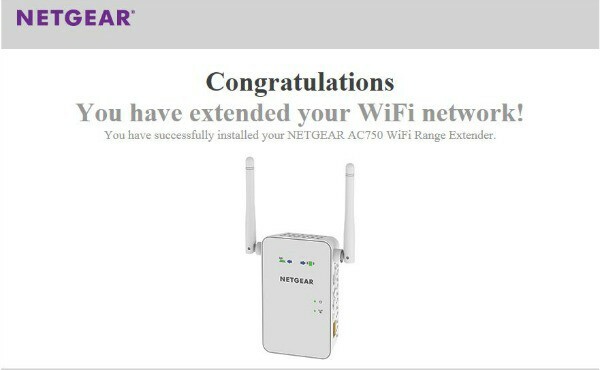 I like the Netgear Wifi extender and would love to get one. these are very handy devices, it always seems to be a problem to get a good connection. I live in a basement flat and we’ve had to use something similar so that we can be connected throughout the house (2 stories above me). Why that should be when there’s no concrete stopping the signal I have no idea but I had this problem in England too with my phone. Awesome! I have horrible wifi reception in my bedroom. This is great information. I have wifi but the range is quite poor. I would like to have something like this to extend the range. I will have to look into these options. Thanks. That looks like a good thing for people with big houses or poor connections. We definitely need this. Getting a good internet signal in our bedroom is almost impossible. Awesome device that is a huge life saver, we have one in our home and it is pretty incredible in the difference in our internet connection. I think my sister could use this in her house. I could use this! Perfect! Awesome! I would love to try this sometime\!